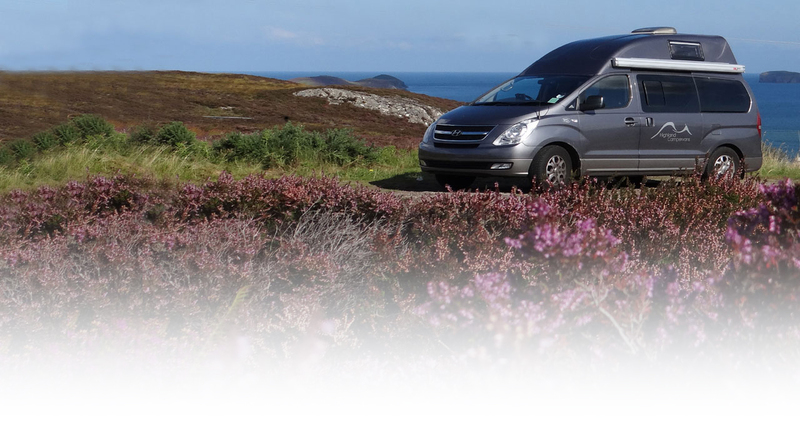 Your contract with Highland Campervans comes into existence when we send confirmation of your booking. You should check the details carefully to ensure it reflects your booking requirements and inform us immediately if there are any discrepancies. If you commit any breach of this agreement, we are within our rights to terminate the contract. In this situation we will not be liable for any refunds, compensation or other losses or expenses, including any onward travel arrangements. Must have held a full valid UK driving licence for more than 2 years. Must have not been convicted of any criminal/driving offences other than minor speeding or parking offences. Up to 6 points is usually acceptable but will be referred to our insurers. Must have had no more than 3 accidents in the last 2 years. Non fault accidents must still be declared. Must declare if you have ever been refused motor insurance. You will be required to obtain a DVLA driving history share code so that we are able to confirm your driving history. 3. RATES, BOOKING AND PAYMENT CONDITIONS. To secure dates via our website you will be required to pay a non-refundable deposit of £50 via PayPal. Once we receive your booking form we will create a full hire estimate for you and deposit invoice for 50% of the base hire cost. If you have booked online and paid the £50 PayPal payment, this will be deducted from the 50%. Payment is due with 7 days of booking. We accept cash, cheque, online banking transfers and card payments, please note that some credit cards are subject to charges, please enquire for the current rates. In the unlikely event, due to any unforeseen circumstance such as an accident, damage, theft or “force majeure”, we reserve the right to make any necessary changes to your booking. We will aim to offer you another vehicle as close to your specification as possible if one is available. If the replacement vehicle is smaller or less well equipped, we will refund the difference in price. If the vehicle is larger than your original booking you will not be held liable for any higher rental charges. We will not be responsible for any costs or charges that you may incur from having a larger vehicle (such as increased ferry charges). If it is not possible to provide you with a suitable replacement vehicle we will refund your hire in full. We regret that we cannot accept responsibility or pay any compensation or expenses where we have not been able to provide a suitable alternative for reasons beyond our control. Please respect our return times so that we have enough time to clean and prepare the van for the next customers as we would have done for you. Please remember that it may take time to fuel the vehicle before your return and empty the vehicle of your possessions. We allow a grace period of 30 minutes before you will be liable for late return charges. You will be charged £50 if you are over 30 to 60 minutes late. More than 2 hours late will result in you being charged a full days hire rate. If you are in any doubt as to whether you will make the return time, please contact us on the office number or duty phone as soon as possible to notify us of possible delays. 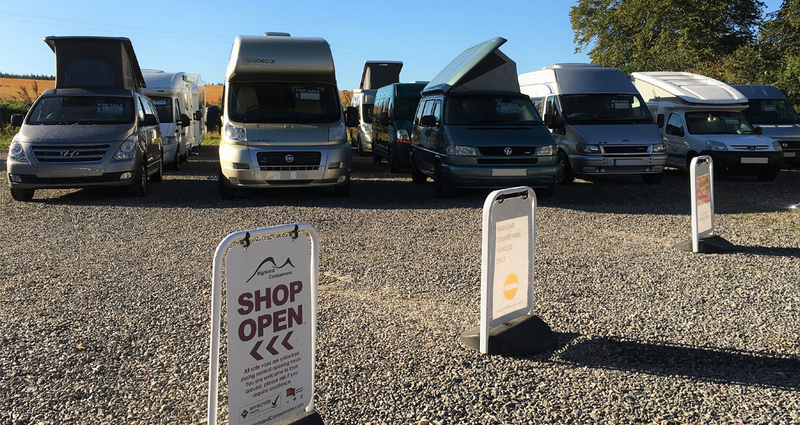 All of our motorhomes are dispatched from our base at Dalcross Inverness where you will receive an in depth handover of the vehicle that will take up to 1 hour. Do not allow animals in the vehicles unless you are hiring a designated pet friendly vehicle. 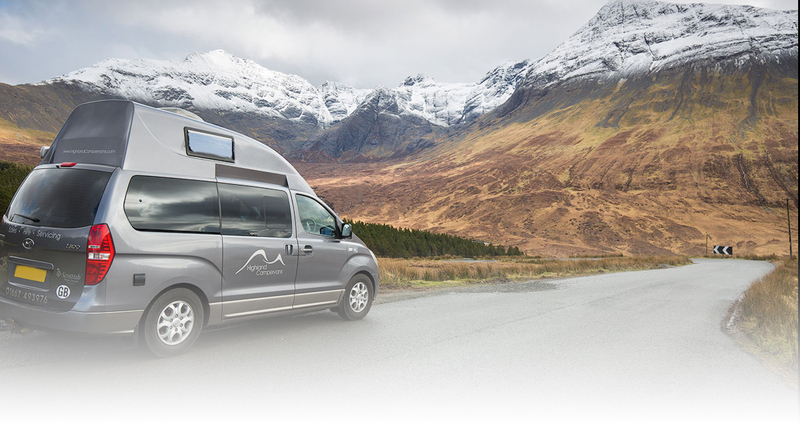 You acknowledge that Highland Campervans retains the title of the vehicle at all times. You will not attempt, agree, offer or purport to sell, assign, sub-let, lend, let on hire, part with or attempt to part with the possession of the vehicle. All returns are to our base at Dalcross, Inverness. Additional cleaning charges will apply if you return the vehicle in an unreasonable unclean condition. Damage to vehicle equipment, steps (electronic or manual), awnings and bike racks. The cost of repairing or recovering a vehicle that became bogged. The cost of any fines or penalties resulting from an offence against the road traffic act, i.e, parking, congestion charges and/or fines. We offer a damage excess reducer policy that will reduce your risk from £1000 to £200 by paying a fee of £22 per day. This is not a compulsory insurance and you are able to source your own policy through a third party company should you wish. Phone us at our base or on the duty phone. Complete accident report form in the vehicle and note everything down. When on hire you have a daytime office number and duty mobile number for out of hours help should you need it. If a repair cannot be completed within 24 hours and the breakdown was not a result of reckless, negligent or imprudent use of the vehicle, we will endeavour to provide a replacement vehicle if available or make alternative arrangements such as car hire. We will not be liable for any other costs.